1) A very defensive driver: With more than a million people in the city and many of those people behind the wheel, the roads are swarming with vehicles. Some days I think it’s only a matter of time before I’m involved in an accident. My Civic… still unharmed… but for how long? 2) A fashion snob: I’ve never been much of a shopper but maybe that’s because I was living in Winnipeg where the shopping was nothing like Calgary. With all the high-end stores like Tiffany and Coach, it can be very tempting for a girl to at least browse and dream. 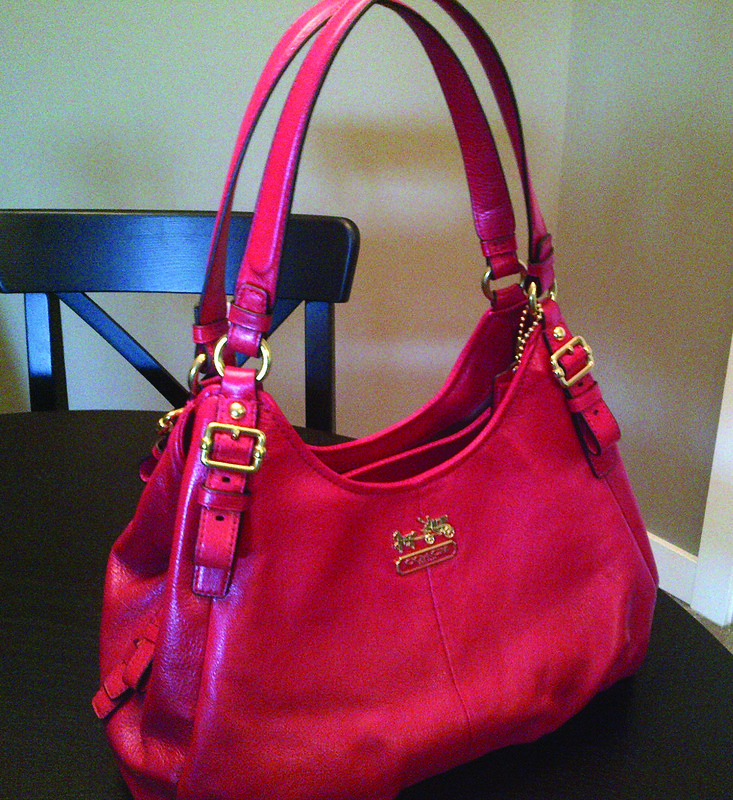 My red Coach bag purchased at the Coach outlet store for a discount because I can’t afford to pay the regular prices! 3) A cowgirl: They don’t call it Cowtown for nothing! 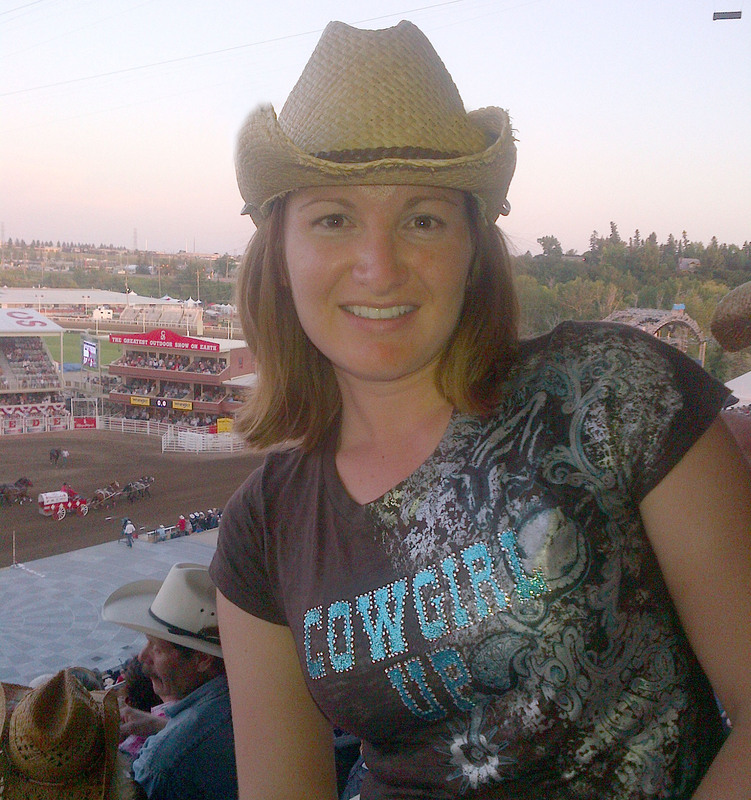 Cowgirl Up at the Calgary Stampede!